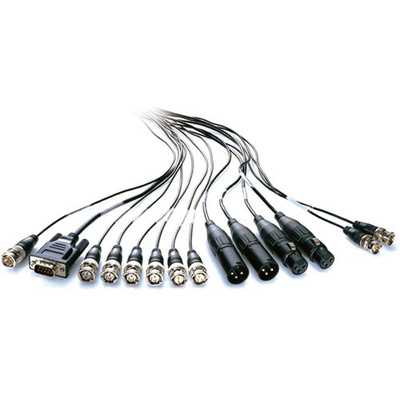 Product #1499 | SKU CABLE-BDLKHDEXT | 0.0 (no ratings yet) Thanks for your rating! The Breakout Cable for DeckLink HD Extreme and Studio replaces the standard breakout cable that is included with Blackmagic's DeckLink HD Extreme and Studio. The cable includes connections for XLR balanced audio input, XLR balanced audio output, BNC SPDIF/AES input, BNC SPIDF/AES output, BNC component input, BNC componet output, BNC Ref input, and RS-422 deck control.